R loves rocks! Any time we are out, she collects them, so I decided it would be fun to do a bunch of activities with rocks this week that focused on a variety of skills. 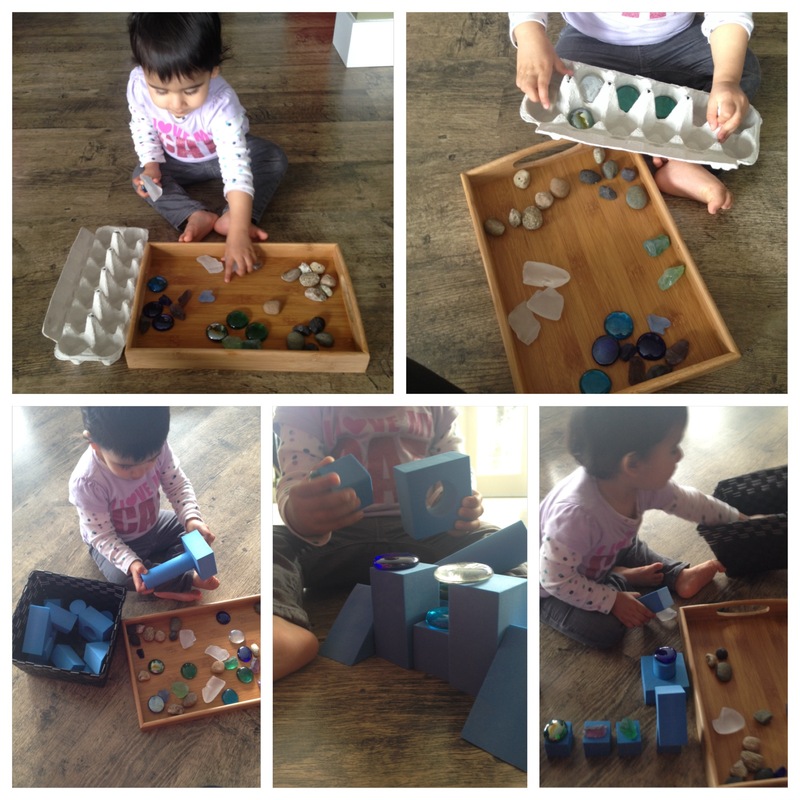 We started with an invitation to play with a bunch of rocks and rock like objects, sorted by colour in a wooden tray, plus an egg carton. She collected the rocks in the egg carton and turned and dumped them out over and over. I counted aloud as she placed rock after rock into the carton. She was at this for very long time! I added soft blue blocks to the exploration to integrate building, stacking and imaginative play. Why blue? Because it was the one colour she learned to say from last weeks colour activities and I wanted to reinforce the concept. We played together and she played alone. She practiced fine motor skills, hand-eye coordination and cognitive skills. I also used simple commands with R to place the rocks in different positions in relation to the blocks. We practiced the positional words on, under, beside and in.